May I just tell you how excited I am for this post!? I absolutely love Cynthia and her adorable blog!! If you don't already head on over there and check her cutsie self out!! I'm so excited to be guest blogging for Jessica today. Her blog is one of my favorite reads! Today, I have decided to condense my summer series that I did on my blog. I'm sure there are many of you that did not read these (or at least not all). I felt that it's a timely topic since it is back-to-school time for most of us. In my many years of experience, I have always found the beginning of the school year to be the busiest and most tiring part of the year. My motto is "Work Smarter, Not Harder." 1) Map out your "Year at a Glance." Click on the below picture to get yours for free. It is in Word so that you can edit it to fit your needs. 2) This one won't take you but a couple of hours TOPS and will put you so far ahead of the game. Whether you do your lesson plans on the computer or you write them by hand, simply going ahead and filling in all the weekly dates, special days, holidays etc. will make it so much easier when it comes time to do those mundane type of things. If you teach special themes add those into the months you teach. ANYTHING you add now, will be that much less during the busy school year. 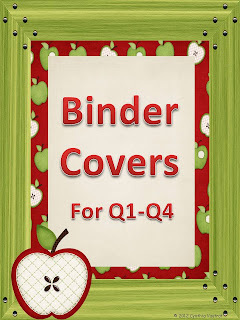 I have four binders labeled Q1, Q2, Q3, & Q4. Inside each of these notebooks, I have the months listed and the standards taught that month. When I print a worksheet, lesson plan, activity, etc. I save the original. (Be sure you use a YELLOW highlighter and write ORIGINAL across it. When copying the yellow does not show.) Place in the correct place in your notebook. You can even use a pencil and write yourself notes on the back if needed. The next school year, you have these at your fingertips. Just take out of the binder, place in your "to copy" folder and you are ready to go. Click on the picture to download some binder covers for FREE! 4) Using a Shared Folder - If your school doesn’t utilize a shared folder, consult with your tech person about placing one on everyone’s desktop. Now, let me stop and clarify right here, that shared folder and tech person are as savy as I get. I so wish I knew more about computers, but alas, I do NOT! All I know is that we have one placed on each teacher’s desktop of the teacher computer. In this folder, our morning announcements (which are videotaped by the students) is placed so that we all have access each morning. 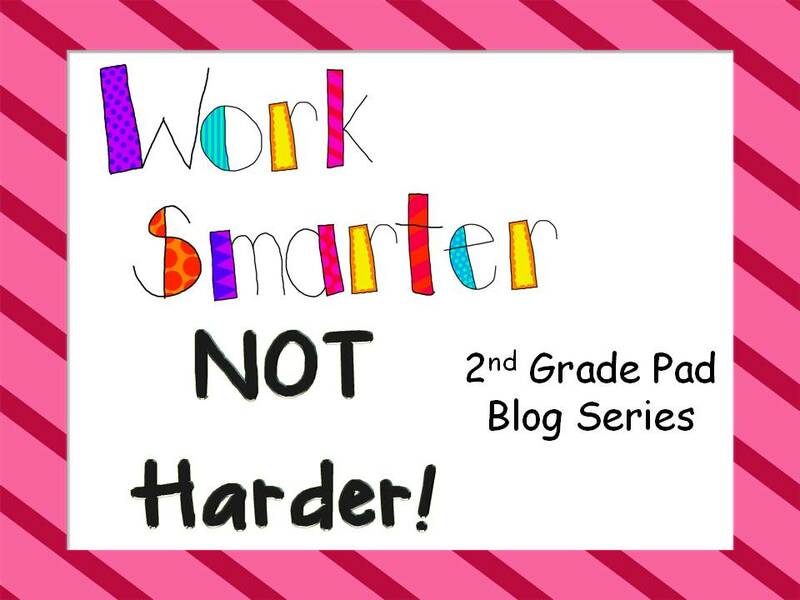 In addition to that, our 2ndgrade level has a shared folder. In it we place our lesson plans, ideas, websites, etc. so that we all have a chance to utilize the wonderful ideas we have. If your school is like mine, good intentions fall by the wayside, when you don’t have enough time to meet as a grade level. By having this shared folder, we can just shoot each other an e-mail stating what we’ve placed on the Shared Folder. 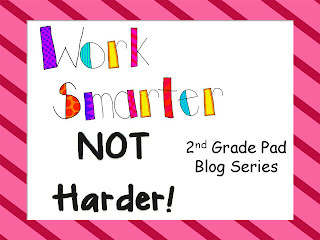 I hope these tips will help you get your school year off to an AWESOME beginning and help you Work SMARTER Not Harder! Please click on my button at the top of this post and visit my blog to read the entire series for more tips. I hope you'll become a follower while you're over there! Thanks so much for having me as a guest blogger. I had so much fun!